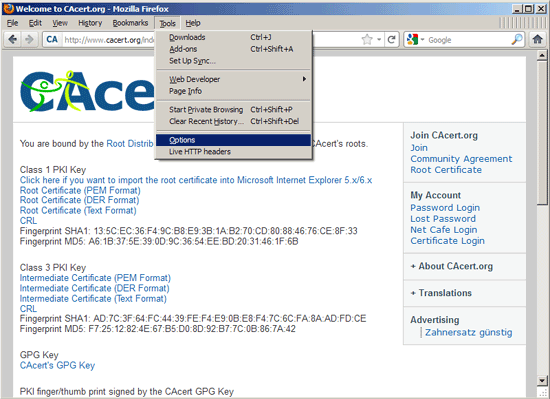 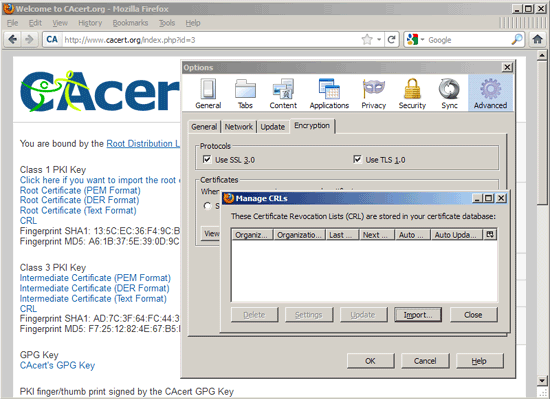 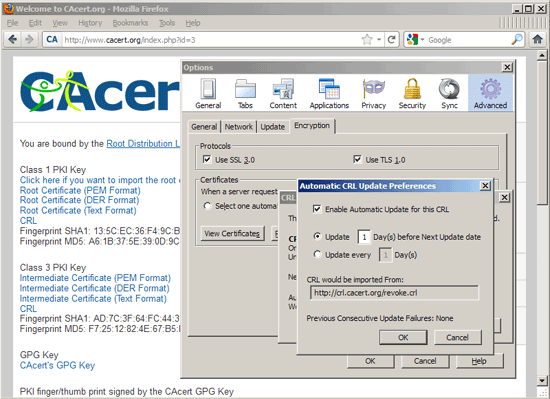 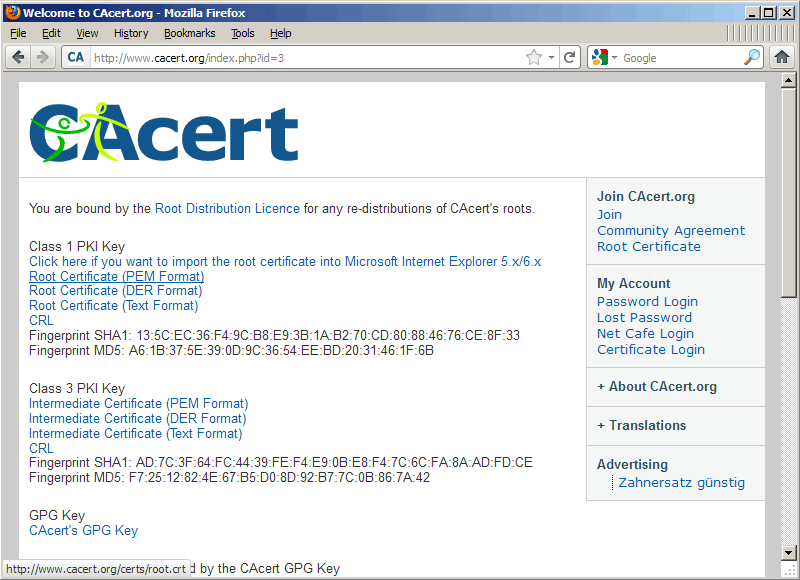 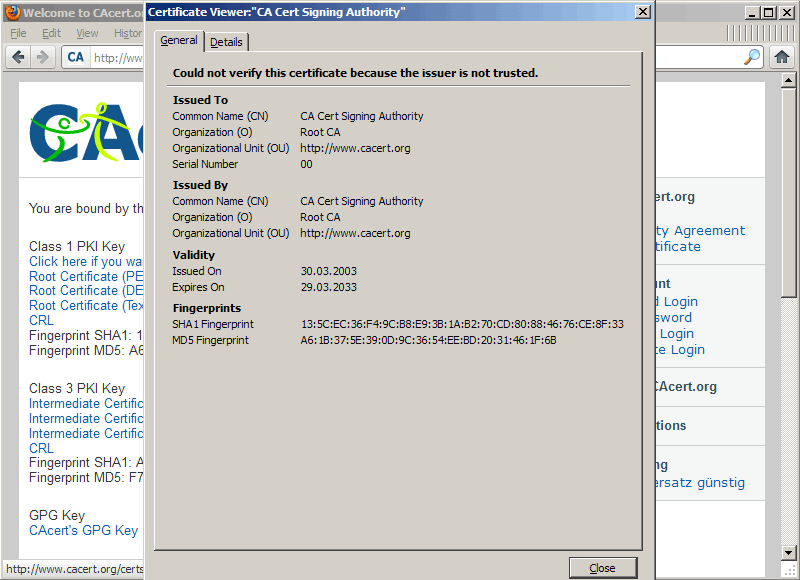 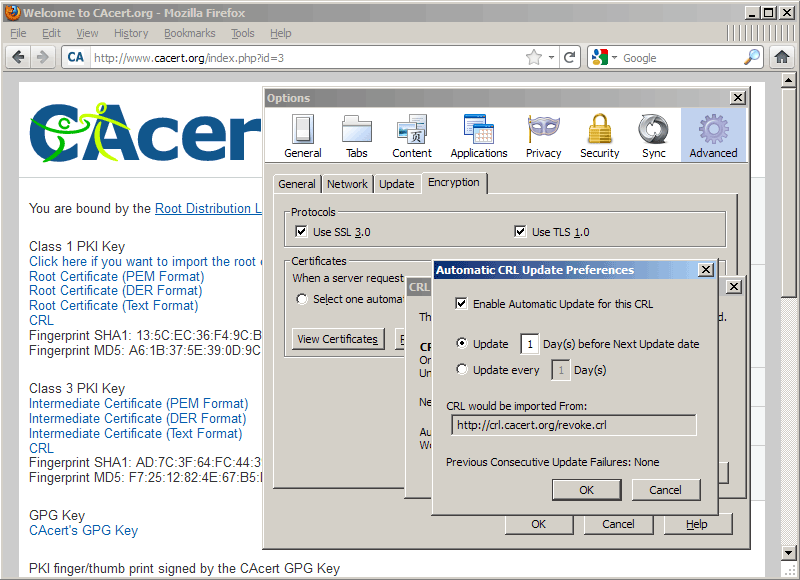 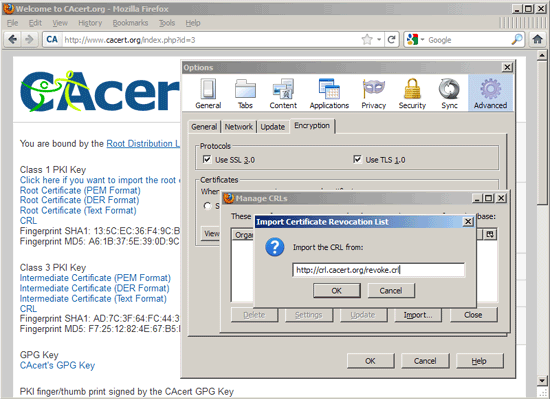 If you use a CAcert.org certificate, your browser most likely doesn't trust this certificate and will show a warning. This chapter explains how you can import the CAcert.org root certificate into Firefox so that it won't show this warning anymore (please read http://wiki.cacert.org/BrowserClients for other browsers like MSIE, Safari or Opera). 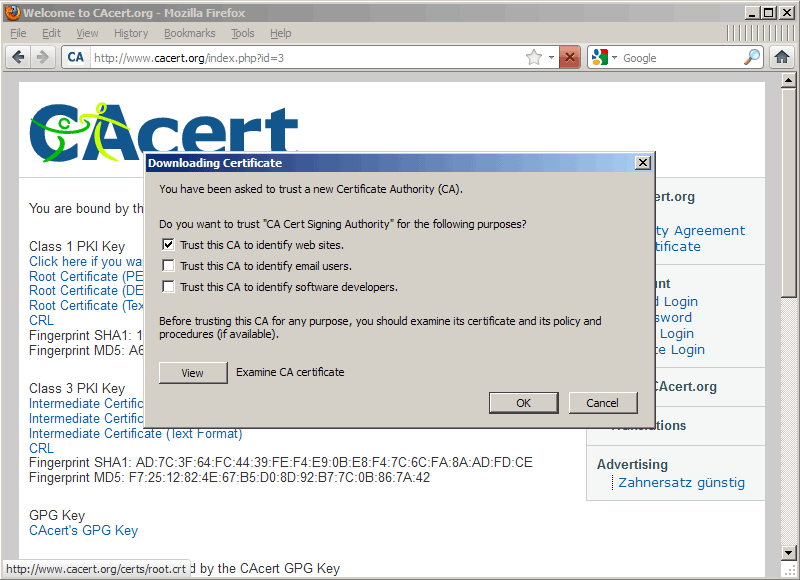 Please note that if you run an e-commerce web site, you should better buy a certificate from a trusted CA because you can't ask all your visitors to reconfigure their browsers. 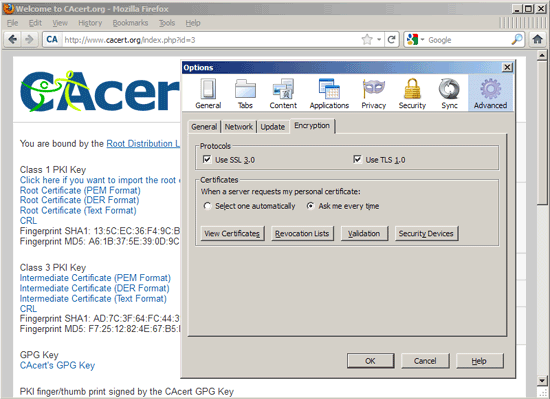 If your nginx supports SNI, you don't need any special configuration to use it - you just configure a second, third, ... SSL vhost on the same IP as shown in chapter 5. 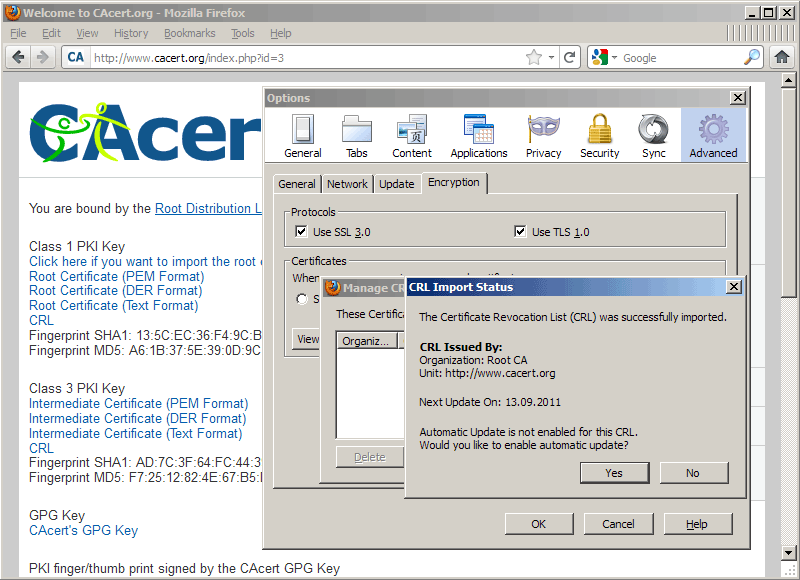 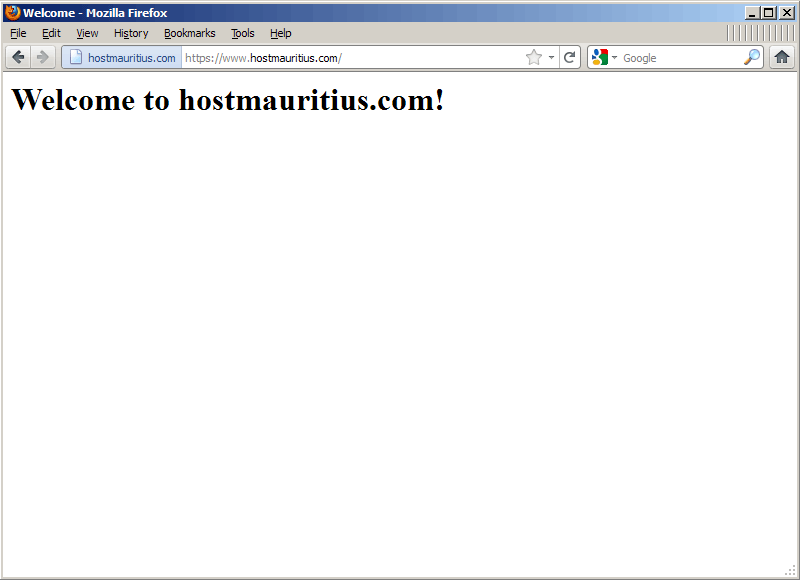 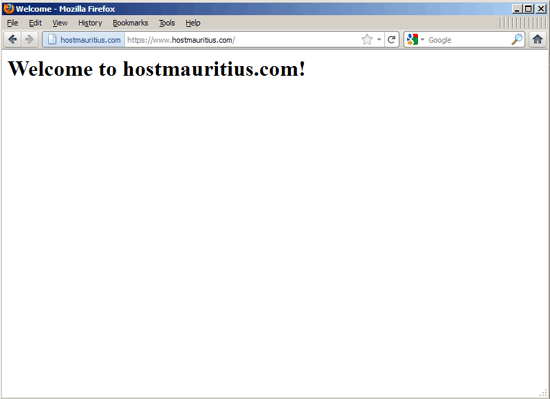 If all goes well, you can now go to all your SSL sites which run on the same IP without getting a browser warning.